Fantastic hanging metal birdhouse which can be used with or without tea lights. 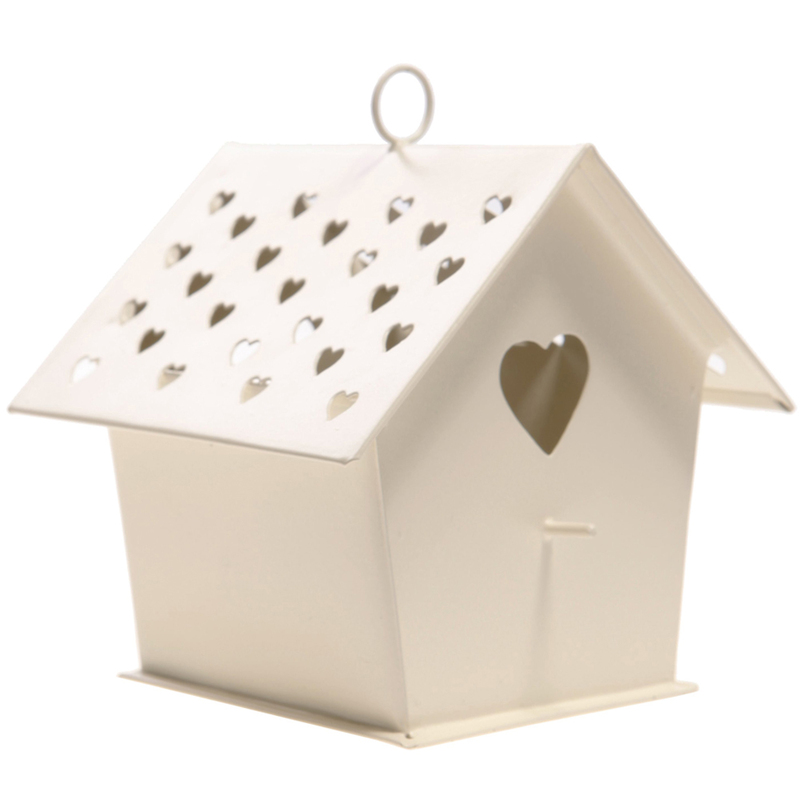 This product looks great when lit or unlit, when lit the candlelight shines through the cut-outs in the roof, has a heart shaped hole and perch on both sides. Excellent Gift idea.